Well, we made it to Friday, guys! Hooray!!! This week has been productive and exciting, but I'm quite exhausted and ready for the weekend! 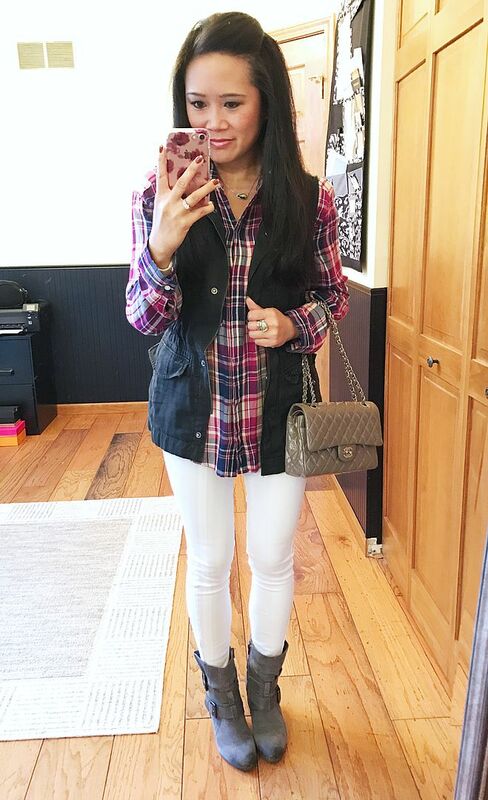 Let's get this weekend started with a random roundup of selfies of outfits I've worn lately! 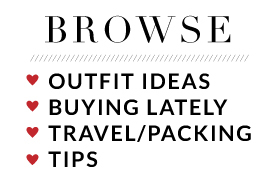 As always, I'm only linking to those items that are still available and/or that I have a similar item handy to link. I think it's safe to say it's officially fall weather here. 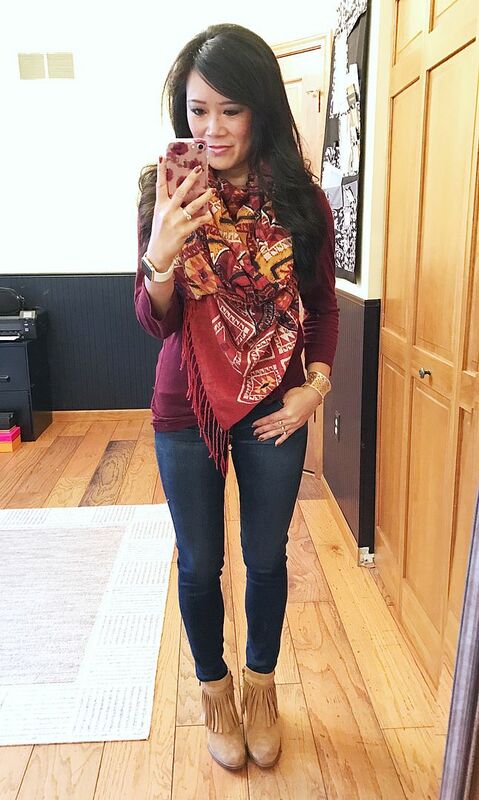 I was able to whip out some scarves this week, and actually, the day I wore this outfit, I was FREEZING all dang day! I wished I brought a jacket! I thought the sweater would be enough, especially paired with the scarf, but it ended up being 48 degrees. Oops, I need to plan better next time! You wouldn't think a plaid top with this exact color combo would be hard to find, but it has been. I've been searching for this for a good two years now. I've gotten a couple of others, but none of them have fit this craving. Then, last week during our fall collaboration, Peaches in a Pod linked to this in their post and I jumped all over it! It's exactly what I've been looking for! This is the same bomber I wore in this post here. 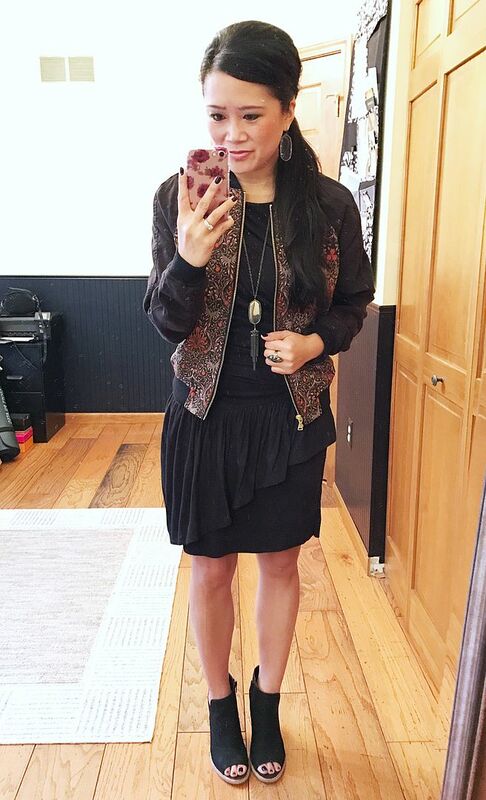 I loved throwing it over a simple black dress with some booties for an easy, funky outfit! I sized down two sizes for this jacket, if you're interested! The tapestry floral is absolutely perfect! Speaking of our collaboration last week, I shared outfit ideas for all of my different colored utility vests. I realized that I styled my charcoal one with more monochromatic outfits, so I decided to brighten it up with this berry and blue plaid and some white skinnies. And last but not least, my foolproof outfit combo when I have zero time to get dressed in the morning. This particular morning, I woke up late. So late that I was THISCLOSE to letting my boss know that I was just going to work from home. 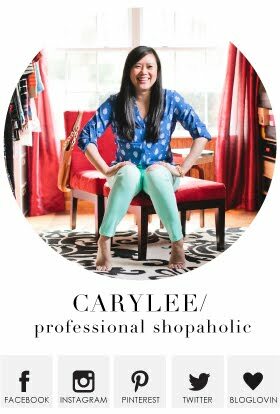 But then the dogs started crying to get let out, so I jumped out of bed and got myself ready and out the door in 45 minutes. That is a miracle, let me tell you. When the husband is traveling and I have to take care of myself AND the dogs, it's usually closer to a 2 hour window. So, yeah. Yay me!! That's all I have for you today! Today marks my official first day of my Pilates Certification program and I have about 4 hours of Pilates ahead of me tomorrow. That's after I start my morning with a 5K. Yes, I'm a glutton for punishment. Wish me luck!! I may have to try this plaid, I have the hardest time finding good colors. 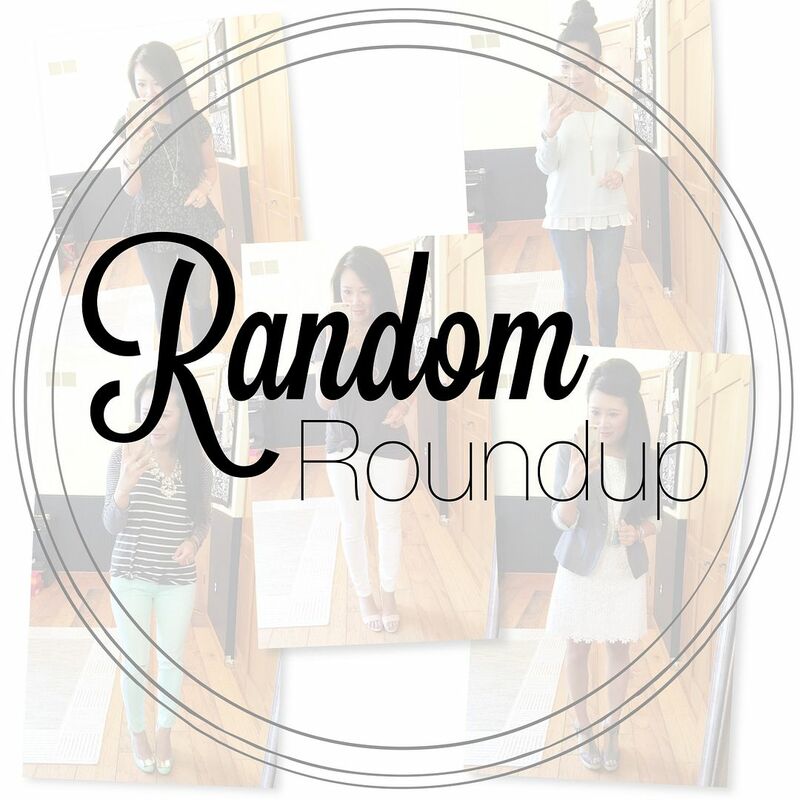 Very cute roundup. Woo...tomorrow sounds crazy!! I hope you have a massage scheduled for Sunday! Love these great outfits and I so wish good pieces like your Halogen sweater would stick around longer! Hope your weekend went well! 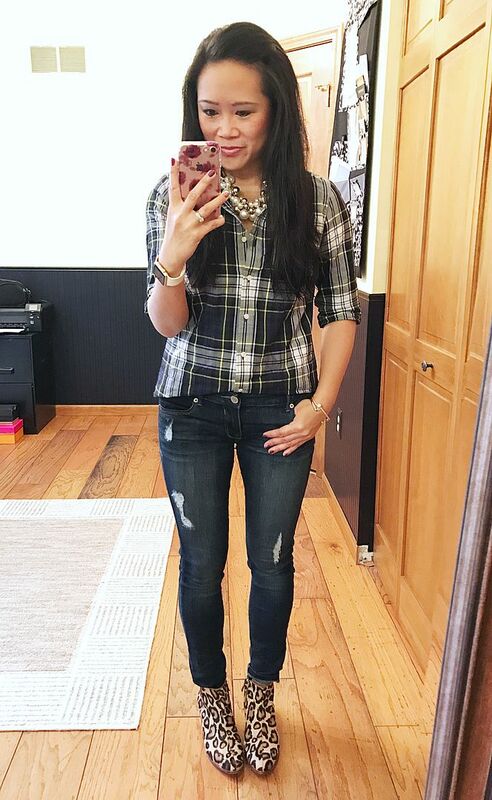 Love that gorgeous plaid top from J.Crew! Finding the right plaid can be near impossible!